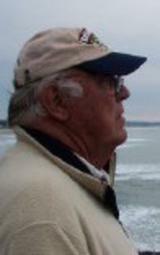 We have just received word from George Chaudoin on the passing of retired NEA/DL Captain Norris Marston. Captain Marston was hired by Northeast on November 10, 1958and retired from Delta in April, 1991. Norris Marston died yesterday, Feb.9th after a long battle with congestive heart failure. He was 80 years old. Though presently of Tryon North Carolina, he was a long-time resident of Cape Ann. Born in Boston, he grew up in Rockport and for many years was the doyen of the family farm on Gloucester's Dennison St. "Nocky", as he was known to most everyone, was a retired Delta Airlines Captain. In 1953, he graduated from the Massachusetts Maritime Academy, earning a Bachelor of Science degree in Marine and Electrical Engineering and an officer's commission in the Naval Reserve. Following a brief stint as a merchant officer, he transferred to the regular navy and attended flight school in Pensacola Fl. For a number of years he flew out of the South Weymouth Naval Air Station, patrolling the east coast of North America and Canada in command of a Lockheed P2V ("Sub Hunter"). As part of his distinguished career as a Navy pilot, he attended atomic bomb school and was among an elite few certified to fly planes carrying the Betty Weapon. A pilot's pilot, he was encouraged to become an astronaut, but his 6' 4" height kept him from being selected. Following his Navy service, he joined Delta Airlines, for whom he was a commercial pilot for the next 35 years. Norris loved the sea. He was an excellent sailor with an impressive Rhoads-19 racing record at the Annisquam Yacht Club. He was a fixture in Lobster Cove and well received in many ports along the east coast and the Chesapeake Bay aboard his beloved 55 ft. Wellington ketch, "Amazing Grace". A devoted father and mentor to dozens of young people who valued his experience and advice, he was known for his great love of life, his stories, and wonderful sense of humor. His was a life proudly and joyfully lived. He was truly an officer and a gentleman and will be greatly missed.